NEW! Only 10 minutes a day to learn to focus your mind like a laser beam. What if I absolutely GUARANTEE that in less than 30 days … you can possess a power most people struggle a LIFETIME trying to build? In only 10-minutes a day! My name is Dr. Jill Ammon-Wexler. I’m a doctor of psychology, brain/mind researcher, and among the first to introduce mind power training to the corporate world. What I’m about to share with you is a breakthrough system that will take your personal life and your career to the highest level possible. Scientists claim we use only a very small portion of our true mental potential. As a pioneer brain/mind researcher, I have to agree. But what if I told you there’s a way to literally throw a switch, re-program your brain, and turn on your TRUE mental power … FAST! FURTHERMORE — you can accomplish that in only 10 minutes a day. No long ebooks or endless courses. No expensive seminars. Just ten minutes a day of focused practice. I’m talking about a program that will enable you to literally “turn on” your full mind power and hidden talents – supercharging your success in business, personal relationships, sports pursuits … every aspect of your life – WITH FAR LESS EFFORT! That’s what I delivered to GTE and Apple and IBM and all those folks who came through my professional California clinic – and that’s what YOU are going to get with THE POWER OF FOCUS. THE POWER OF FOCUS is a combined audio/written self-mentoring program created for self-motivated people like yourself. It specifically refines the mental skill at the very core of success — the ability to focus your brain. Each week for 4 weeks you’ll receive a new Insight Package designed to refine and build your power to focus your amazing 3-pound brain. Once a week you’ll spend about 30 minutes of focused time on your Insight Package – then only 10 minutes a day throughout the week on your focus exercises. The experience is like turning on a light bulb in a dark room. You can’t even begin to imagine how a laser focused mind feels … until you experience it for yourself! Actually, since you are obviously a self-motivated person, THE POWER OF FOCUS is your secret key to re-programming your thoughts and attitudes … and from there virtually changing your entire life … remarkably FAST! The POWER OF FOCUS program has the ability to help you achieve genius level mental focus … FAST, AND WITH MINIMAL EFFORT. Countless scientific research studies have demonstrated the power of learning based on my S.N.A.P. (Substitute Neural Association Programming) type methods. We all learn and remember small packages of information best. And when that information is delivered using a combination of brain-smart S.N.A.P. audio, visual and tactile methods … you get a home run! Allow me to tell you EXACTLY how you can use the POWER OF FOCUS to IMPROVE YOUR LIFE … TODAY … WITH MINIMAL EFFORT! From the VERY FIRST DAY you’ll begin to experience new levels of mental clarity and exciting new ways of thinking that are guaranteed to AMAZE you. Calm Mental Focus – Enjoy the exhilarating experience of being totally focused and on target with your goals. Your TRUE Mind Power – This is powerful mental re-programming at its best. Not only does the underlying method work, but it is presented so simply that you’ll immediately “get the point.” You will discover an amazingly simple way to eliminate painful old memories, and remove the negative messages from your brain. Astounding Results – The S.N.A.P. methods behind the POWER OF FOCUS are built around proven achievement-producing techniques. You WILL achieve your goal … in only 10 minutes a day. When I first pioneered my early versions of the S.N.A.P. (Substitute Neural Association Program) in the ’80s, I wanted to do it in a way that achievement-oriented people could get what they want … fast. This is a proven-effective way for self-motivated people like yourself to get your life on track, with no wasted time and minimal effort. I, Dr Jill Ammon-Wexler, personally extend this guarantee to you! I want you to get the benefits of this brain-smart approach to personal empowerment with minimal risk. You see, I know from over 35 years of clinical experience that it will produce the results you desire … if you just commit to do the work! Go ahead and purchase the POWER OF FOCUS program. If you become dissatisfied at any time within 30 days of ordering your program, contact us immediately and we will refund your entire purchase price. And At A Special Discount! We have TEMPORARILY slashed the price to only $47.95. This is only temporary, and will change without notice. Go ahead and order now … you’ll get everything listed above for this MINIMAL price, including the bonuses. Ready to get started? Just go for it! my copy of the Power of Focus program for only $47.95. And I also want my $139 worth of FREE bonuses! Go to work creating your ideal lifestyle — NOW! address to anyone else. We respect your privacy! Now here’s a little more about me … just in case you are a bit curious! 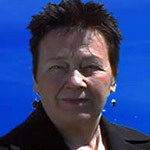 I’ve been part of the personal discovery and self-development world for over thirty years. I did my undergraduate work in psychology and Pre-Med, and my masters and doctoral work in psychology. I am the author of over 20 books, including a transformation novel, and am also a pioneer brainwave trainer and mind/brain researcher. I was one of the first to introduce brainwave training to the corporate world. I have always enjoyed using modern brain/mind technologies to help my clients with personal empowerment. My client list over the years has included GTE, IBM, Apple … and a long list of competitive athletes, performing artists, Hollywood personalities, and even some political figures. But I have also personally worked with a long list of “ordinary” people who have become extraordinary achievers. Over the years I developed and refined a mental re-programming technique now known as S.N.A.P. (Substitute Neural Association programming). These proven-effective techniques now form the base of my Self-Mentoring programs for achievers – tools that will have a huge, powerful impact on your life … with absolutely minimal focused effort. Enjoy the end results! Quantum Self Group 2014 All rights reserved.